For a business to be successful, it's important to outline the steps required to perform any given task. This ensures that your staff members are able to operate with consistency and effectiveness. Printed procedures can be a good way to achieve this, but they can also be difficult to maintain or update. The Evopos Procedures module is a great way to simplify and automate this process. Staff memebers are notified when a procedure has changed. Users can certify themselves with a procedure, their manager is then notified. Staff memebers can make comments and suggestions on the procedure to improve productivity and earn rewards. Improve your business and maintain company system to ISO9000 quality standards. We include an initial common set of procedures. You can edit these and add new ones as needed. The procedures are organised in Procedure Control. Each staff member has access to the procedures allocated to them. They are automatically notified when a procedure has been changed and they can self certify with their estimated skill level when they have studied the new procedure. Managers are notified when a user has self certified a procedure and the user can be reviewed to give them their official skill rating. It is also a great way to determine if and when any training would be beneficial. Staff can build up their Skill level points by improving their rating on procedures or by learning new procedures. Procedures also have a skill level weighting so they can earn more skill level points on the more difficult or profitable procedures. This really helps to get staff to 'buy into' the system and expand their skills (and their Careers). Any staff member can make comments and suggestions on how a procedure could be improved. Implemented suggestions can be tracked and rewarded. It is easy to setup as your staff are already in the system. As the procedures are stored in the main Evopos database the system can be accessed from anywhere and is backed up as part of your standard backup. 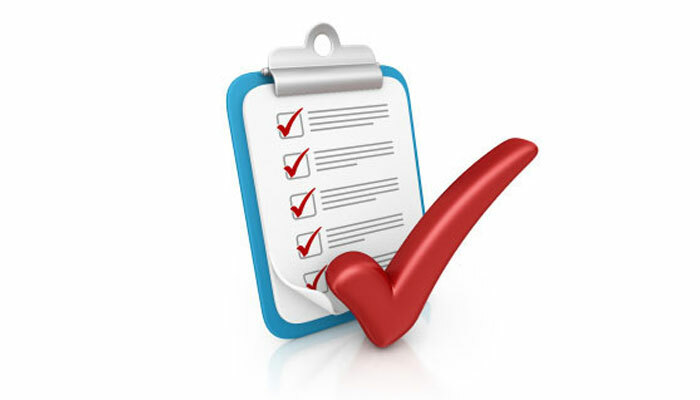 There are also some advanced auditing options so you can maintain a quality company system to ISO9000 quality standards. About 10 years ago we were looking at how we could improve the quality of our service at Evopos HQ and someone suggested going for the ISO9000 Quality Business standard. Well we looked at it, and although the concept seemed good (determine the best and most efficient way to do everything and then document and control it in procedures), we were horrified at the amount of paperwork and administration work it required. Some businesses need this standard to be able to supply to large national companies, but this did not apply to us, we just wanted to be as efficient and effective as we could be. So our first reaction was that the high cost of implementation would out-weigh the benefit? We are all about using systems to help dealers to be more profitable and adding to the paperwork really goes against the grain. However we had seen some really good strategies in the ISO9000 quality standards, things that could really improve a business and help employees in doing their jobs. So we set up a meeting with the approvers and asked if we could still go for the standard if we did it in a different way, for example automating most of the work and making it paperless. At first the approvers said no way, people needed access to these massive procedure manuals at all times and they have been doing it that way for years. But after we showed them what is possible using the latest technologies they relented and agreed to let us try. The result was amazing, especially when we took on new members of staff. Everyone could see exactly how everything should be done. Management could evaluate how well people were working to the documented procedures. Everything was defined in a procedure, from how to answer the phone to how to handle the sales process. Staff were happier because they knew exactly what they had to do, they could also see their 'Skills Chart' so they knew what they needed to learn to progress in the business. Even the approvers were impressed and we were very proud to be their first ever paperless ISO9000 approved business. The only downside to us was that it did take us a long time to set up and fine tune the system, even with the technical resources at our disposal. This got us thinking that we could use our experiences and system to provide a 'Ready-to-go' Procedure Control system for our users. And being built into our Evopos system it would link into the existing staff records and would always be ready to hand. This would give our clients all the advantages of a quality procedures system to the latest ISO9000 standards without a large investment of time and money.